Defined by big money, negative ads and a tiny base of voters, the Iowa caucuses start the election on all wrong premises. Des Moines—The Republicans who would be president, the super PACs and the surrogates had already spent more than $12 million on television ads—almost half of them negative—before the final weekend leading up to Tuesday’s Iowa caucuses. That doesn’t count the thousands of radio ads, mailings, lighted billboards in Des Moines and costs for staff. Add it all up and there is a good chance that, when all is said and done Tuesday night, the candidates will have spent $200 a vote to influence the roughly 110,000 Iowans who are expected to participate in the GOP caucuses. And the really unsettling thing is that the caucuses are just for show. While the results may so damage some candidates that their runs for the presidency will be finished, they will not actually produce any delegates to the Republican National Convention. That’s because, as the Des Moines Register notes, “Iowa delegates are not bound to vote for a specific candidate at the national convention, and no percentage of delegates is given to any one candidate (on caucus night).” Iowa Republican Party Executive Director Chad Olsen told the paper that the GOP caucus acts more as a “temperature gauge” of how Iowans feel about the candidates, and convention delegates use the results to inform their decision. Seriously? All this for an glorified straw poll? That’s the problem with the caucus system, which operates on an only slightly better model on the Democratic side. Huge amounts of money are spent to influence a very small percentage of the electorate—less than 20 percent of Iowans who are likely to vote Republican in November will participate in Tuesday’s caucuses, and most of them will leave after the balloting finishes. An even smaller number of Iowans will begin the process of choosing representatives to county conventions, who in turn elect delegates to district and state conventions at which Iowa’s national delegates are actually selected. Ultimately, party insiders are all but certain to form the delegation and choose how to vote at the national convention. I don’t begrudge Iowa a place at the start of the calendar. In fact, I prefer that Midwesterners start things. But the caucuses are not the right way to begin. The progressive movement of a century ago fought for open primaries, where all voters could easily participate and where the power of political bosses—and, ideally, outside money—could be overwhelmed by popular democracy. There are good arguments to be made that primaries no longer hold out such promise, and I am not suggesting that open primaries will in and of themselves cure all that ails our politics. But the Iowa campaign of 2012 confirms that the caucuses are more prone to being warped by money and by rules that favor party bosses. Iowa maintains a caucus system not because it is the best way to choose a nominee but because its first-in-the-nation status depends on an longstanding arrangement with New Hampshire, which claims the right to hold the first primary. 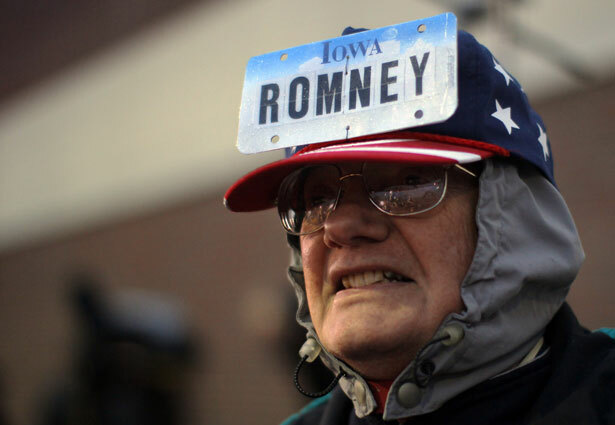 Under the deal, Iowa can go first, so long as it does not hold a primary. Unfortunately, that means Iowa must hold caucuses. And the caucuses are a dysfunctional way to begin the process. The parties have lacked the courage to demand a reform of this arrangement. But they should do so before the 2016 race begins because the presidential nominating process should not be defined by caucuses—in Iowa or anywhere else.